ROTTERDAM, NY -- A woman who helped open Christmas cards for a young burn victim has been charged with stealing from the cards. More than a million cards and packages poured into Rotterdam, New York after 8-year-old Safyre Terry asked for cards online. 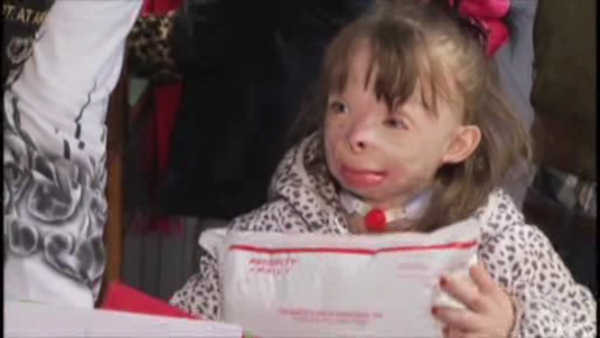 Safyre lost her family and was severely burned in arson. Volunteers like Kimberly Bradford helped deal with all the mail. Police say Bradford stole a mail bin of Christmas cards from the warehouse. They say she stole at least $800 cash and $550 worth of gift cards.